In documents filed in related civil proceedings, Neil Mitchell, the former chief executive of Torex Retail, alleges that Global Restructuring Group (GRG), a unit within RBS, “conspired by unlawful means” with Cerberus, a private equity fund in America, to engineer the sale of Torex for a cut-price £204m. “RBS colluded with Cerberus to sell the entirety of Torex’s business at an undervalue . . . and irrespective of the fact Torex’s business was viable,” the documents claim. The sale of Torex in June 2007 came months before the financial crash that led to a £45bn bailout of RBS by the government. The taxpayer still has a 73% stake in the bank. Mitchell believes that RBS wanted to sell Torex quickly to recoup £190m in loans made by a syndicate of banks that it led. The documents allege that a rival bid for Torex, worth up to £390m, was made but that RBS had already hatched a plot with Cerberus to sell it for a sum close to the £190m debt. Cerberus eventually bought Torex for £204.4m. Allegations against RBS in Mitchell’s civil claim include negligence, a breach of its fiduciary duty, breach of trust and unjust enrichment. This weekend, RBS vigorously denied Mitchell’s claims, which it described as “entirely without merit”. It said the claims “will be met by a full defence”. RBS has denied that there was another viable bidder for Torex at the time of its sale. Cerberus, whose chairman is Dan Quayle, the former US vice-president, declined to comment although it is understood that it, too, denies all the allegations. Mitchell is also suing KPMG, the accountancy company that acted as administrators for Torex before the sale. He accuses KPMG of breach of trust and dishonest assistance, which it denies. It has applied to have the case struck out. As well as lodging his civil claim, Mitchell has hired lawyers to pursue a private prosecution against RBS executives. Writing on his behalf in a letter to Ross McEwan, the current RBS chief executive, one of the law firms claims to have “evidence to suggest that there has been collusion between RBS . . . Cerberus and others to defraud the shareholders of Torex and thereafter to conceal the commission of any offences.” It is understood that RBS denies any criminal wrongdoing. Mitchell, 53, is being provided with free legal advice by Charlie Monteith, a former head of the proceeds of crime division at the Serious Fraud Office (SFO). 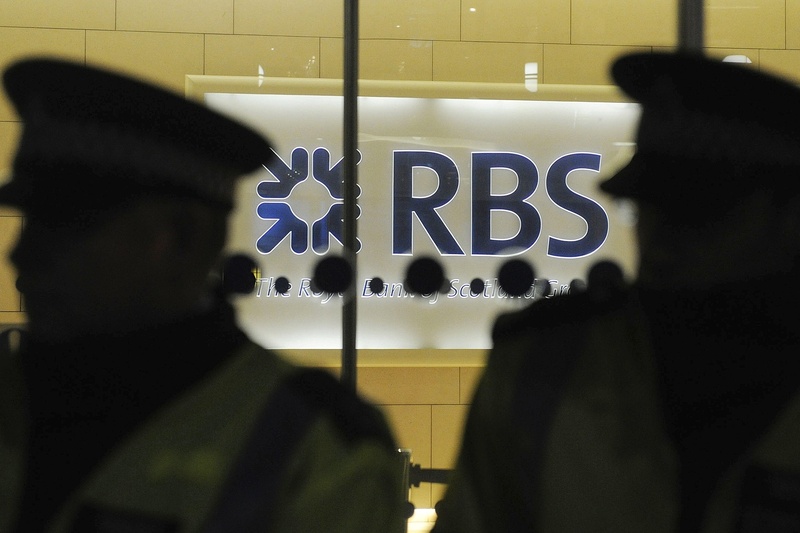 The litigation risks reigniting the controversy over RBS’s GRG unit. In 2013, The Sunday Times revealed that a report by Lawrence Tomlinson, a government adviser, had concluded that “heavy-handed, profiteering and abhorrent behaviour” by RBS had caused “detrimental consequences for otherwise good and viable businesses”. A subsequent report commissioned by RBS cleared the bank of “systematic fraud” but listed other failings. An investigation into GRG by the Financial Conduct Authority regulator is continuing. The Torex saga began in November 2006 when Mitchell became chief executive of the company, which supplied touchscreen technology to clients including McDonald’s and Argos. Before he joined, Torex had secured a £190m RBS loan and embarked on a spending spree on other companies. At that point Torex was valued at £600m but within weeks of joining, Mitchell found evidence of fraud and alerted RBS, the SFO and the police. Shares in Torex, which employed 2,500 people, were suspended and RBS transferred the firm into its GRG division. Three days after going to the SFO, Mitchell was suspended by Torex. He was later sacked. Mitchell’s decision to blow the whistle — which subsequently led to the conviction of five Torex executives — was judged so sensitive that he was placed under police protection in a central London hotel. It is claimed in legal papers that Mitchell and Phil Cox, a Torex colleague, met a representative from Cerberus in the hotel bar and were told that the US fund had “already entered into a deal with RBS” that would guarantee them the “assets of Torex once RBS had ‘taken control’ of the company”. This is denied by Cerberus and RBS. Torex was placed into administration and sold in June 2007. Mitchell alleges that, while RBS and the other banks recouped their loans, shareholders, including himself, and other creditors were left with a “valueless shell”. 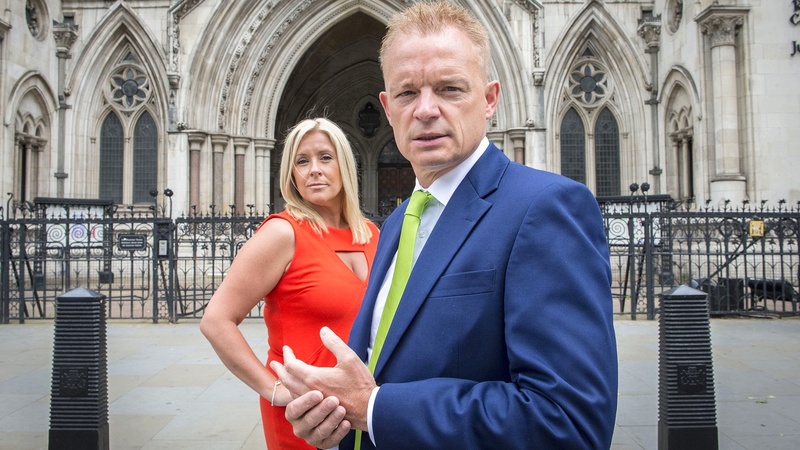 In his submission to the High Court, he also says his claim for unfair dismissal, which he believes is worth up to £25m because of legal protection for whistleblowers, was stymied by the sale of Torex. Mitchell, who set up the RBS GRG Action Group in 2014, is the first major claimant against the unit to go public. He is being supported by Cox, who had worked for RBS before joining Torex. In 2012, Cox wrote to Stephen Hester, then chief executive of RBS, advising the bank to settle Mitchell’s claim. “The facts of the case are not at all pretty,” he wrote. Mitchell’s efforts have been dealt several blows. Two years ago he ran out of money but has now raised funds to hire law firms including Berg and Mishcon de Reya. Mitchell said he had not wanted to disclose his evidence until the current civil and criminal action was launched. An RBS source said Mitchell had met Sir Philip Hampton, a former chairman of the bank, McEwan and legal staff to discuss his grievances but had “repeatedly refused to hand over the dossier of additional evidence”.